A 24-hour strike by London Underground (LU) staff is set to go ahead Sunday evening bringing huge transport disruptions to services after a main union walked out of last minute talks to avert the action. The walkout is set to start at 6 pm Sunday evening and continue into Monday rush hour, affecting the majority of central London Tube stations. There will also be limited service provision in outer London. Representatives from two unions, the Rail, Maritime and Transport (RMT) and the smaller, Transport Salaried Staffs' Association (TSSA), met with LU officials at the conciliation service Acas on Saturday in a last ditch effort to avert strike action. The RMT walked out of talks Saturday afternoon saying they can’t accept an “unsafe underground” and indicated on Twitter that the 24-hour strike would proceed. The TSSA continued reconciliation talks with the London Underground and said Saturday evening they are considering a new offer from the LU and will respond Sunday morning. London Underground have made new offer in the station staffing dispute. @TSSAunion now consulting with reps & will respond tomorrow morning. The dispute centers around staffing numbers, with unions saying staff and passenger safety has been compromised by job cuts and the closure of ticket offices. Talks had previously broken down on Friday afternoon, with the RMT accusing LU representatives of failing to come up with any plans to tackle their staffing and safety concerns. Steve Griffiths, chief operating officer for LU, said there was "no need" for the strike, promising the recruitment of around 500 staff this year, the BBC reported. 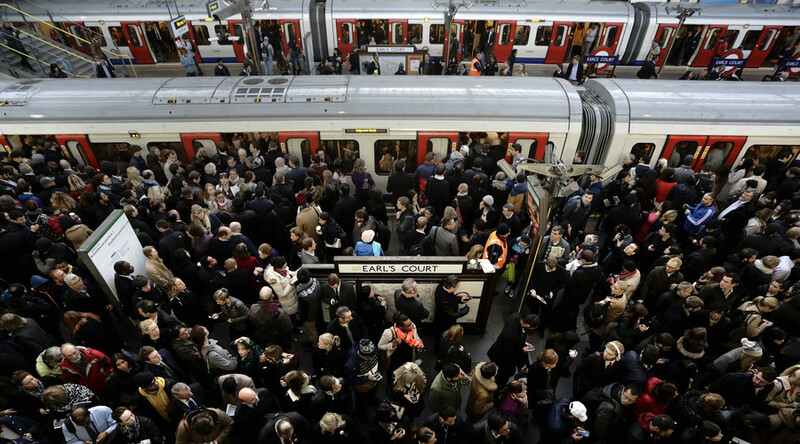 The London Underground handles some 4.8 million passengers daily. Transport for London will run shuttle services where possible Monday but have warned that there will be a severely reduced service across the Tube network on Sunday evening and all of Monday. National Rail services will not be affected by the action, but there will be no underground services from key interchange stations.